The coveted Cheltenham Festival takes place over a four-day period in March of each year, with next year’s edition running between Tuesday 13th March and Friday 16th March. Often regarded as ‘The Home of Jump Racing’, The Cheltenham Festival is never short of excitement. Originating in 1860, the event sees some of the best British and Irish-trained horses locking horns. The Festival hosts several Grade I races including The World Hurdle, The Cheltenham Gold Cup, The Champion Hurdle, and The Queen Mother Champion Chase. It’s recognised as a crucial event for National Hunt fans, as they prepare for four days of top-class horse racing, with the best of the best competing against one another. The course also benefits from a noteworthy atmosphere and the ‘Cheltenham Roar’, which refers to the noise generated from the crowd as the first race gets underway on day one of the festival. 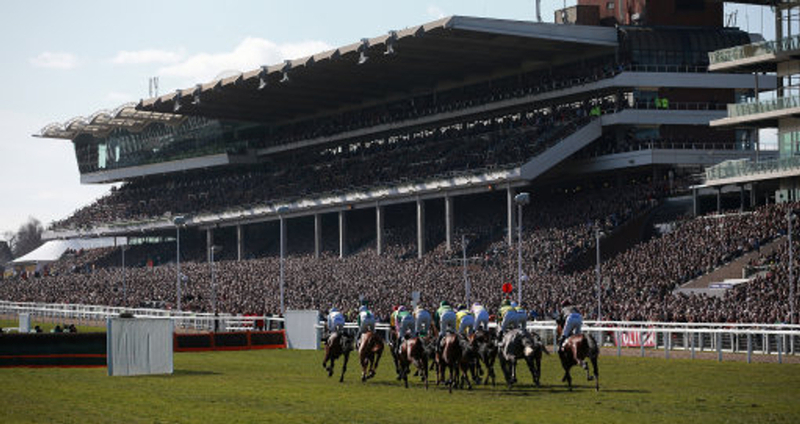 The Cheltenham Festival guarantees a packed-out racecourse as a total of 70,000 people urge to get their bets placed. Horse racing tipsters and punters focus on creating Cheltenham Festival betting tips ahead of all other racing events, so it’s important to be clever with your own Cheltenham predictions. Our Cheltenham betting tips are researched before being placed here by our experienced team of betting tipsters. We prioritise the more celebrated races - Cheltenham Gold Cup tips occurring first and foremost - but we always aim to cover every race over the four-day festival. Betting at the Cheltenham Festival couldn’t be much easier, with a selection of bookmaker stalls dotted around Cheltenham Racecourse to help with getting your bet placed. This is imperative considering hundreds of millions of pounds will be staked over the course of the event. We’re prepared for the next edition of The Festival, catering to our fans by providing Cheltenham Festival 2019 tips as soon as the odds are released. Before placing any of your own Cheltenham betting tips, ensure that you check for the best odds available, as you’re likely to take a better set of horse odds if you shop around all major bookies. Cheltenham Festival betting tips are especially prevalent in the build-up to the festival, so be sure to check back here closer the time for our tips and predictions. Best known as Champion Day, the highlight of Cheltenham Festival’s opening day is The Champion Hurdle. With this in mind, you’ll find Champion Hurdle tips far in advance to the festival starting, where we bear in mind the importance of providing our followers with a worthwhile tip during the event’s first major race meeting. We will sometimes consider forming a Lucky 15 from a selection of each day’s races, with The Champion Hurdle often kicking off our Cheltenham Festival betting tips. Cheltenham Tuesday represents the first day of the Festival and features the Champion Hurdle, the main race on the first day. This race is a grade one event ran over two miles, in recent years it’s been dominated by Irish runners. Other major races include The Arkle Trophy Challenge and the Supreme Novices Hurdle. The Arkle race is named after one of its most famous competitors, it’s a 2-mile race that requires excellent jumping technique along with a fast pace. Usually remembered for being Ladies Day, day two of Cheltenham Festival entertains The Ballymore Novices Hurdle, The RSA Chase, The Queen Mother Champion Chase, The Cross Country Chase, before finishing off the day with The Champion Chase. Even though it’s not the most competitive of races, the demand of Champion Bumper tips makes it easy to see how worthwhile it would be to offer our thoughts, with at least one prediction provided before the festival gets underway. The penultimate day of Cheltenham Festival sees another four recognised races, but none are as highly-regarded as The Stayers Hurdle. Over thirty horses compete and there’s always likely to be a handful of horses that are favourable among the horse racing betting community, making it even more important that we assemble our Stayers Hurdle tips before any distinct fluctuations in the market. Thursday at the Festival has two main races along with several other potentially exciting stretches too. The two people get most excited about on the day are the Stayers’ Hurdle and the Ryanair Chase. Favourites, on day 3, traditionally have a great chance of achieving first place in the Stayers’ Hurdle race. Though, that said, check your tips wisely as the day can often throw in the odd highly priced winner. Concluding the Cheltenham Festival on day four, the highlight is the Cheltenham Gold Cup, which ranks among the UK and Ireland’s biggest and most hotly-contested races. Cheltenham Gold Cup 2019 betting opens up relatively early, allowing more time for our followers to back any Cheltenham Gold Cup tips we have for the next edition. There aren’t many races more difficult to predict than the Gold Cup, and this is mostly down to the competitive nature of so many decorated racehorses taking part. We use the same level of research, statistics, and reasoning to pick our Cheltenham Gold Cup tips in order to identify the winner, as well as any horses that we see as being capable of finishing each-way. Friday sees the final day, day 4, and is all about the Cheltenham Gold Cup race. This race attracts the heavy weights from the racing world and we’re greatly anticipating another annual battle to land the prestigious number 1 spot. The day starts with the Triumph Hurdle race and ends with the epic Grand Annual race. For more information about getting to and from Cheltenham Racecourse, check out our exclusive Cheltenham horse racing page, where we cover everything you need to know about Cheltenham and the key race meetings it plays host to.